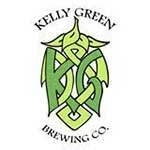 Home » Dining » Kelly Green Brewing Co. When they started, there was no grand plan, no investment strategy. The only plan was to make the beer good and then make it better and even better after that. Gradually, however, Justin Fleming, his wife Jeannette and best friend Dave Domanski realized they not only enjoyed the process but discovered that they were pretty good at it too. And from that first batch – using nothing more than a cheap homebrewing starter kit purchased off the Internet – the trio went on to open the first-ever brewery in their home town’s 110-year history!